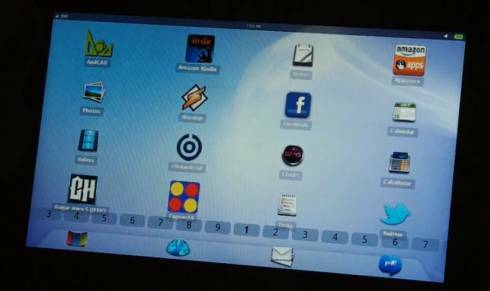 MeeGo is a Linux-based operating system designed to run on netbooks, tablets, and other mobile devices. While you can tweak MeeGo to run a wide variety of Linux applications, there aren’t all that many apps designed specifically for MeeGo right now, which means that while the operating system is designed to run on small touch-screen devices, you won’t find all that many apps that do the same. But a company called OpenMobile is working on software that could change that — by allowing users to run Android applications on a MeeGo device. OpenMobile calls its solution an Application Compatibility Layer, or ACL. The apps are installed alongside native MeeGo apps and once installed it’s difficult to even tell which apps are native and which are Android apps. They run in full-screen mode, just as they would on an Android phone or tablet, and you can multitask by flipping between MeeGo and Android apps seamlessly. The folks at OpenMobile put together a demo video showing, for example, how you can switch between the MeeGo web browser and the Android Facebook app. While the platform doesn’t work with the official Google Android Market, you can download apps from third party app stores such as the Amazon Appstore or SlideMe app store, which makes it possible to download thousands of Android apps onto a MeeGo device. In the demo video, the company is showing ACL running on a device with an Intel Atom Pine Trail proessor and MeeGo Linux 1.2. OpenMobile says it can also customize the ACL software to work on devices running Windows, webOS, Bada OS, or other operating systems. The Asus X101 has dropped to $209.99 on Amazon.com, eligible for Super Saver shipping; it was first available at $226.99 a week or so ago, as I recall. So how’s this differ from alien darvik? Does Alien Dalvik even exist? Will this work on Nokia N9? this os only on nokia?